All good things must come to an end, and we’re going out with a bang on this, our last giveaway before the massive Grand Prize. Four lucky winners will get this great selection made up of four of Fantasy Book Review’s biggest bruisers including a misguided savior, a goddess’ influence, a new partnership and a new take on Merlin. Official Blurb: 1,400 years is a long time to be asleep. Even for a wizard. Especially for a wizard who has to stop an ancient prophesy from coming true. 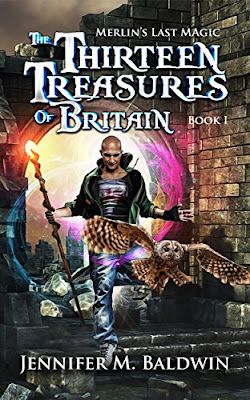 By the time Merlin wakes up from his enchanted sleep, it’s 1985, the legendary Thirteen Treasures of Britain are missing, and his magic is starting to fade. To make matters worse, in twelve days’ time, it will be Midsummer’s Day: the prophesied day when the old gods will return to Britain and wreak havoc on its people. If the Treasures fall into the wrong hands, the gods will rise, thousands will die, and Britain will be utterly transformed by chaos. In the old days — the days of Camelot and King Arthur — Merlin would’ve sent someone else on the quest for the Treasures. But now, with time running out and everything at stake, he’s ready to take up the quest himself. The search for the Treasures will take him from the realms of Faerie to the Land of Dreams, and from the streets of Glastonbury to the distant reaches of the solar system, where he’ll meet friends and foes alike, including Arthur Pendragon, Morgana Le Fay, and a panther-like creature called the Cath Palug — the “slashing cat” with a taste for king’s blood. 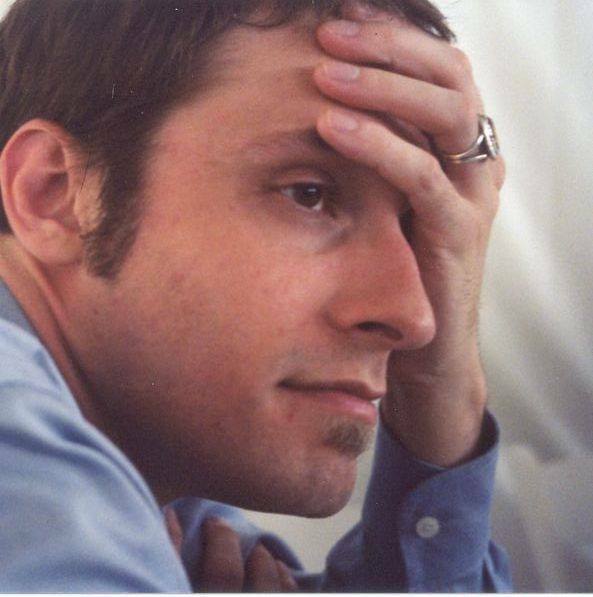 Official Blurb: Revik Lasivar knows he is a savior. He knows he will never be defeated. He knows he is fighting for good. Revik is the last scion of a legendary family, destined to deliver his kingdom. Ahi'rea is the nomad seeress fighting to destroy it. 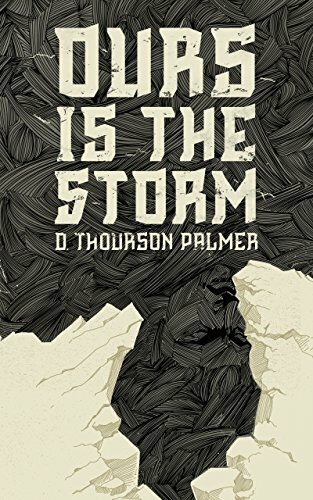 Her power of foresight and ruthless tactics threaten to undo all Revik’s efforts, so he embarks on a last crusade to destroy her and her people. When the savior and seeress cross swords, however, the deceptions they uncover will change both of them, and their world, forever. Official Blurb: When the goddess calls, how will you respond? Carmel must break free of her captivity to honor her son's dying wish, and in doing so try to reconnect with the goddess she believes abandoned her. Vana, who struggled so hard to keep her daughter safe, now has to leave her people to rescue her from a threat she never saw coming. And Aida, once stolen, has now been returned, but she'll never be the same again. Serafina's Flame is the story of these three women and how their lives intertwine. Can they put the past behind them in order to save their people? 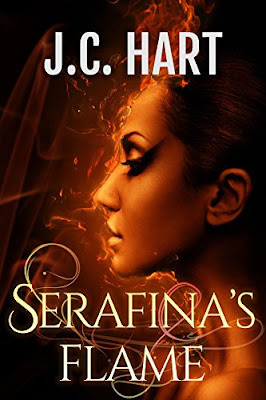 Can they rekindle Serafina's Flame? Official Blurb: Elite soldier Marian serves and protects the royal family—a responsibility she does not take lightly. But when she thwarts an assassination attempt on the king, she unwittingly becomes a prime suspect. Worse, she is left with a terrible, pulsing wound and vile, intrusive thoughts that are not her own. 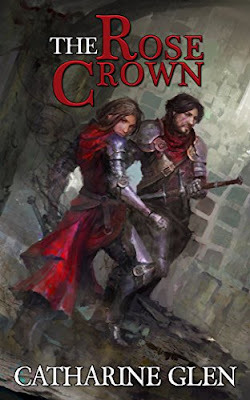 Now, the mysterious cult behind the attack has targeted her, and Marian soon learns of their goal to restore a devastating relic: the legendary Rose Crown.